Last night I looked over at my husband and said, “Is it my imagination or is time just flying by?” I was being VERY serious. I remember giving a presentation at a bank (in 2001) and beginning by saying, “Today is my 50th birthday!” The audience relaxed their professional demeanor and sang Happy Birthday. I enjoyed every minute of my BIG day! It seems like the ten years that followed went by in the blink of an eye. I wish I could slow life down…. First of all, I’m going to start a petition to slow down the speed limits. Drivers are ALWAYS in such a hurry! This way when we get to a red light, instead of being aggravated, we can roll down our windows and give each other a friendly wave and maybe exchange a word or two. Then I will convince everyone I know to move at a slower pace. 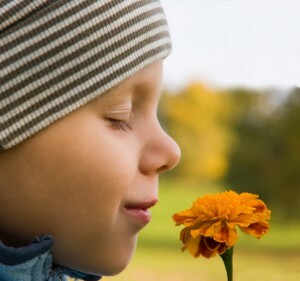 Take more time to smell the flowers and get to know the neighbors. Turn off the phone and have a real conversation. Linger an extra minute outside to watch the sunset or smell the air after a rain. We were both fifteen..Seems like just yesterday!